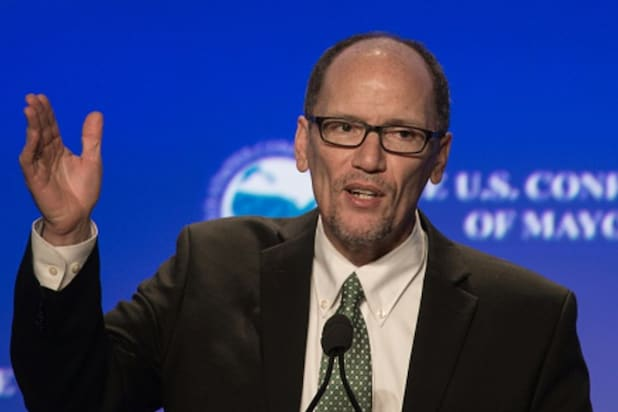 Responding to Hemmer’s question about why Democrats refused to allow a 2020 presidential primary debate on the network, Perez bluntly said that he did not have “faith” in the channel’s leadership. Hemmer asked if Perez would name names, but the DNC boss declined the opportunity and repeated his discomfort with “senior leadership” at Fox News. “They have pierced that line between editorial and your Sean Hannity shows,” he said. The Fox News anchor pushed back on Perez and insisted that the network — like any newspaper — maintained a strict wall between its editorial programming and hard news. The exchange suggests that the DNC won’t allow Fox News to host a 2020 primary debate. The channel last aired Democratic candidate debate in 2004. The breaking point for Democrats came after the publication of a New Yorker piece which documented the closeness between the network and Trump White House. The network responded at the time promising it would be fair and urged Perez to reconsider.